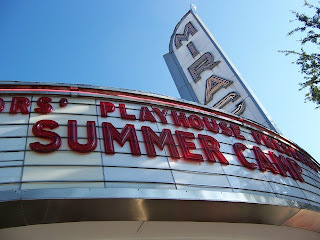 The first session of Theatre Camp started at The Miracle Theatre in Coral Gables on Monday. Actors' Playhouse presents two sessions of camp every summer; the campers learn about all aspects of theatre, and culminates in a show that they write, produce and perform themselves. If you want your kids to participate, it's not too late: the second session is accepting applications for a starting date of July 9th. The Teen One-Act Showcase Camp starts June 25.